The Duke and Duchess of Cambridge are once again covering Vanity Fair and this time they have a hot new accessory - Prince George. 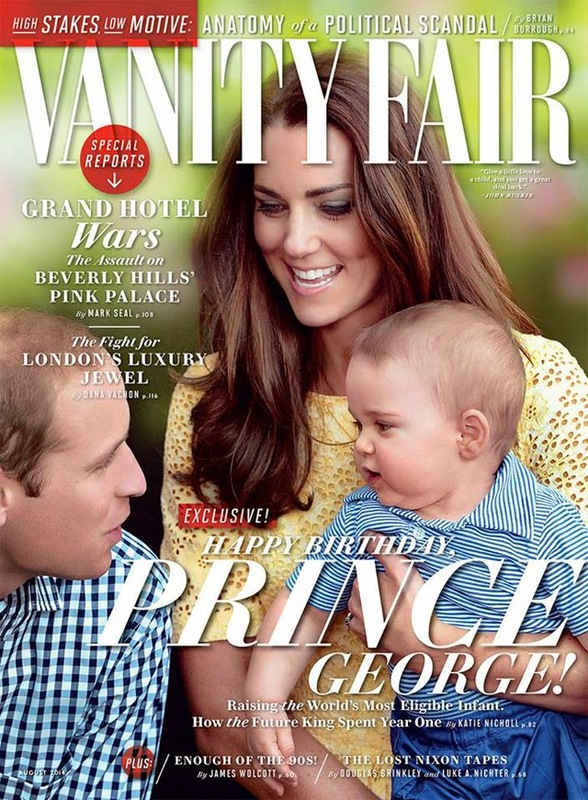 To celebrate the wee babe's one year on earth, Vanity Fair have featured the Royal Family for the August 2014 issue. By golly, has it already been a year? Where does time go? For those of you that are Royals mad, you'll enjoy this issue like no other. Apparently Vanity Fair has sent in an expert to speak to Royal insiders all about how Prince George has taken over the world. Well, the way they write the preview you would think that's what's happened. There's even a bit about the nanny for the royal man. She's basically a female version of James Bond. The issue hits newsstands on the 15th of July. Yes, we'll be buying it.